The increased prevalence of autism in the Dravidian Nair community has been documented. Autistic children and the Nair population tend to have Neanderthal anthropometric features. There is increased incidence of endomyocardial fibrosis, chronic calcific pancreatitis, multinodular goitre and mucoid angiopathy in the population inhabiting the land masses arising out of the Lemurian supercontinent in the Indian ocean. The South Indian land mass was a part of the Lemurian supercontinent in the Indian and Southern ocean which was destroyed by giant Tsunamis and the population inhabiting the supercontinent are represented by the Dravidian population of South India. The population that migrated from the Lemurian land mass travelled over to the Eurasian land mass creating the urban civilizations of Harappa-Mohenjadaro, Sumeria, Etruscia, Basque, Celts and Egypt. All these ancient civilizations were co-terminus and existed at the same point of time at least 10,000 years BC. 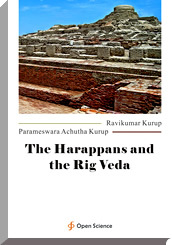 The Harappa-Mohenjadaro civilization is considered to be Dravidian and the Harappan script has been decoded and found to be Akkadian-Dravidian. All the Harappa-Mohenjadaro, Sumeria, Etruscia, Basque, Celts and Egypt civilizations spoke the Akkadian-Dravidian language. As has been demonstrated the Dravidian Nair community has Neanderthal anthropometric features and Neanderthal metabolonomics. All the above mentioned civilizations have a possible Neanderthal origin. The Dravidian community is postulated to have evolved in the Lemurian continent.